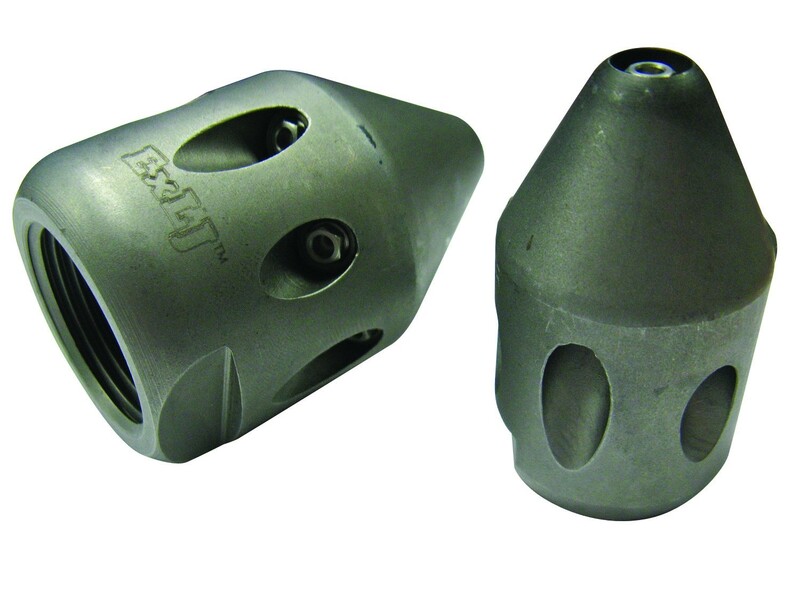 The JD Standard nozzles have 4 x rear jet at 25° and 4 x rear at 30°. They are used for general drain cleaning and flushing. They can be configured with a plug in the front or a forward facing jet. 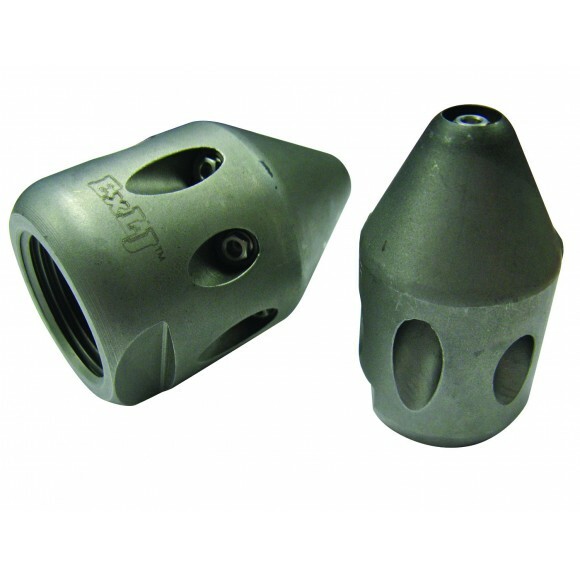 These nozzles are fitted with long life ceramic jets and are suitable for recyclers. Made in Germany.